Everest Base Camp Trek in July Doable? Home / 10 Best Treks in Nepal – The Ultimate Guide for Trekking in Nepal / Everest Base Camp Trek in 2018: The Ultimate Guide / Everest Base Camp Trek in July Doable? July is not the most popular season for trekkers who want to trek in the Everest region. 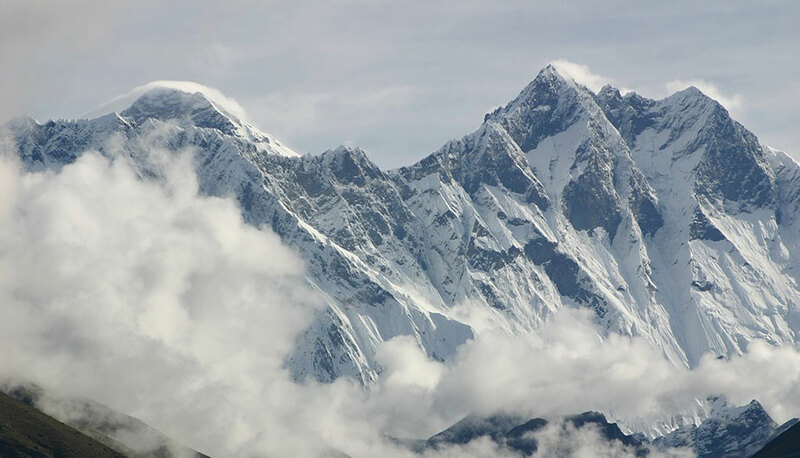 The monsoon might be the biggest reason that deters people from coming to the Everest region for trekking. 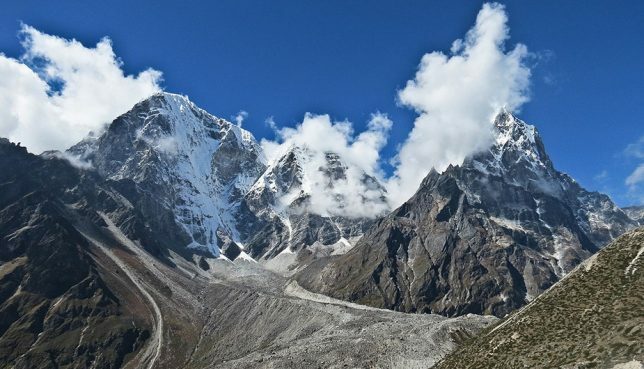 The Monsoons in the Everest region is not as so heavy as to make trekking impossible. Besides, the Northern part of the country receives rainfall that is a very small fraction of the rainfall that the hotter parts of the country experiences. Trekking Everest Base Camp in an off-season like July brings about its own pleasurable advantages. The flights are not jam-packed. Offseason also means that you can catch the accommodation in prices that are far lower than it would normally be in trekking season like August/ September. And if you are a person that enjoys traveling with the quiet and solitude of nature, July might be the season for you. 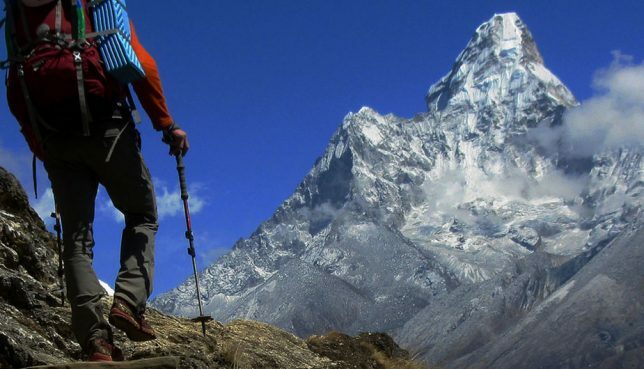 You cannot be reckless and prepare less for your trek to the Everest Base Camp. Quite the opposite. Since there are possibilities of rain, you should prepare to take into account the factor of monsoon and make your travel plans accordingly. What issues are you likely to encounter? Are porters needed while trekking in the EBC region in July? From the mid of June, the monsoon kicks off in Nepal and continues till July. But, take some comfort from the fact that the monsoon is coincident with the summers. So even if it rains, you can be assured that it will be fairly warm. The warmth means that trekking will be pleasurable and you don’t have to bear with the extreme cold that the mountains can offer you in the coldest months of the year. And even if the wind does blow, its chilling effect will be cancelled out by the summer warmth. Well, isn’t the temperature in the regions just pleasant? The temperatures never go below the freezing point in any of the places above. What a relief! This is also the month where the maximum amount of rainfall takes place. But the rainfall is not unending. The rainfall generally takes place in the evening time or the nighttime. This will generally result in clear mornings. And if you begin your treks early in the morning, you might be able to keep the rain at bay. The problems of mosquitoes and leeches will be there. These insects come to life in this season and you should expect to encounter them in your treks. The trails might be a bit muddy and you might lose your balance while you are trekking. When it rains, the views of the mountains might be blocked due to the clouds. So, there might be days where you don’t get scenic views while you are trekking. Carry a mosquito repellent with you at all times to put mosquitoes off. Similarly, for leeches, you need to carry a small pouch of table salt. If you rub the table salt in the leech-infected area, you can safely deal with the problem. Carry a good pair of trekking boots. These trekking boots need to have a firm grip. You should also hire a porter/ guide from a travel company. They will lead you from paths that are least likely to be muddy. Extend your trip by a few days. There might be delays in the flight due to bad weather. And for scenic viewing, the extended holiday will come in handy in case your view of the mountains are disturbed by the weather. Monsoon means an encounter with the rain. And summers means that an encounter with the Sun. So, make a list of things that will help you get rid of the discomfort of the rain as well as the warmth of the Sun. Trekking boots that have a firm grip will help you trek easily even in the muddy and slippery areas. Sleeping bags with liners are equally important to preserve your body from the ill-effects of the rain. As I have already mentioned, you must pack insect repellent sprays, creams and table salt. Water-resistant trousers and down jackets to keep you warm if it rains while trekking. Visit this page to know the list of all the things you will need to pack to trek to the Everest Base Camp. Obviously YES! The porters will carry your bags. So you can be more balanced while trekking. And if altitude sickness comes your way, you wouldn’t want to carry any load. Trust me! Similarly, guides become extremely important in this Month. The number of people trekking in this region is quite low in July. This means that you are unlikely to encounter many people if you decide to go into untested areas. The guides will also give you a helping hand while walking in terrains that might be difficult for you. This will minimize the risk of slipping. 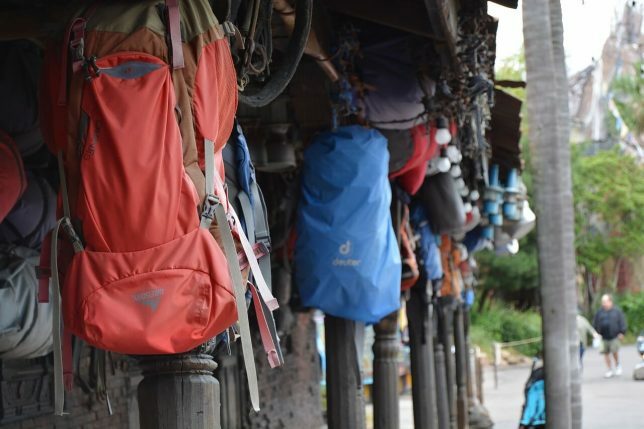 They also have an excellent idea when it is good to start your trek or when it is useful to rest in case you have no idea how the weather might pan out. A helicopter trek is a perfect combination of light trekking and helicopter ride. In this trip, you will fly to Lukla and trek for a few days in the lower parts of the Everest region. You will trek in Phakding as well as Namche Bazaar and adjust your body to the low amount of oxygen in the Everest region. 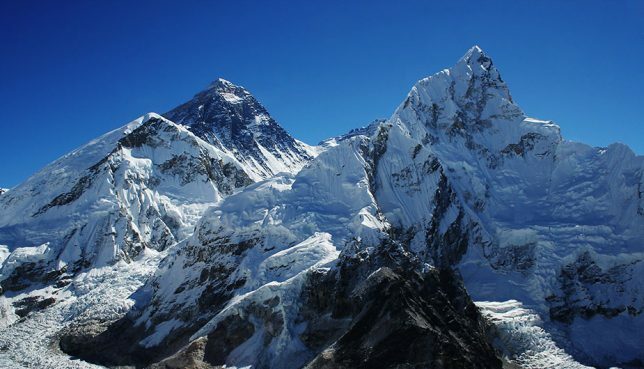 From there, you will trek to Everest Base Camp. When you get down to Gorak Shep / Pheriche after your trek, you will take a helicopter and get to Kathmandu. 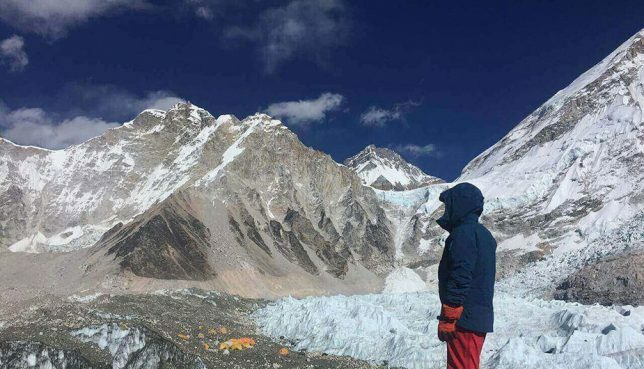 If you think that you don’t want to experience any rain while trekking but still fancy going to the Base Camp, Everest Base Camp helicopter tour is a perfect match for you. In case the weather doesn’t permit you to fly to the Everest region on this trip, you will receive all your money back. 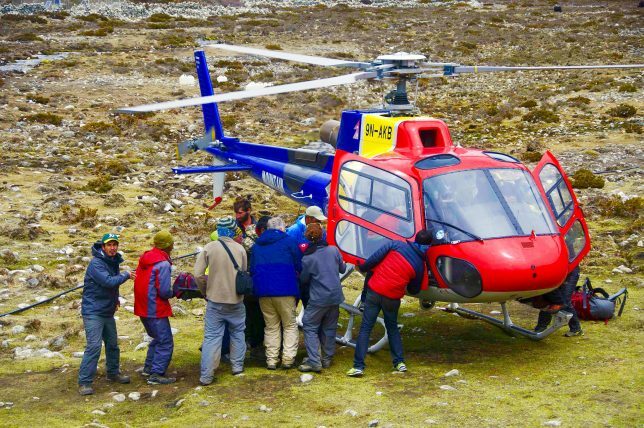 You can also choose to go to Everest Base Camp in a private helicopter tour as well as by joining a group. If you increase the number of days you trek for, more chances are there that you will get scenic views of the mountains. The High Pass Trek in the Everest region lasts for about 3-4 weeks meaning that you’ll have plenty of time to get views of the mountains even if some days don’t make for good viewing. The Everest Base Camp trek can be completed in 11 days, 14 days or 16 days. You can choose from either of these. Besides, there is also the Everest Panorama trek. There are some who avoid trekking in July completely. However, if you keep an eye out on the weather forecasts and prepare your trek accordingly, you can complete Everest Base Camp trek in July. Trekking in EBC in the monsoon in July can be one of the most adventurous treks you could undertake.